Photo taken in Hollywood on 06/09/18. 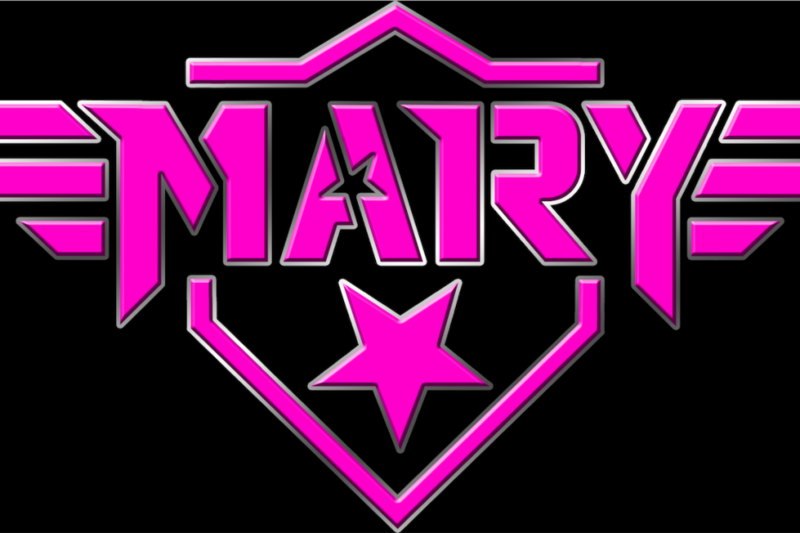 Primarily based on song demos created by guitarist Steve McKnight, the music of MARY is rooted in classic metal and hard rock, but with a modern punk edge. Deep grooves and crazy guitar heroics are the dominant features, but it’s the energy and pop sensibility that people remember. McKnight cut his teeth in Cry Wolf, a late ‘80s LA-based metal band that had released albums on major labels and toured internationally. In a town full of Van Halen devotees, the hardest task was to stand out in a club on Sunset Strip, and McKnight’s talent ended up taking them around the world. The band initially folded in 1994, but reunited in 2007. Around 2013, Chris Freeman (bassist/vocalist from iconic queer punk band Pansy Division) was putting together an all-gay tribute band with musicians from the Gay Gay’s (another all-gay tribute, this one to the Go-Go’s), but they lacked a lead guitar player. He saw McKnight’s profile on a dating site and noticed that it said he played guitar. Soon after, Freeman and McKnight met and GayC/DC was born. Later, after a search for a singer left them empty-handed, Freeman took on lead vocal duties. Now missing a bass player, Freeman tapped Glen Pavan (local bassist and singer/songwriter who Freeman had first met in Iowa on a Pansy Division tour) to take over on bass. Pavan had been playing around the LA club circuit with a variety of bands (Bloodsak, Best Revenge, Future Villain Band), and had a flair for the theatrical, making him the obvious choice. At that same time, the reunited Cry Wolf had begun to wind down, leaving McKnight with tons of music to spare, some of the best he’d ever written. Curious what a hybrid of his punk leanings and McKnight’s full-on metal approach might sound like, Freeman casually asked to hear some of the demos. He put the demos in Garageband, cut-and-pasted together new arrangements, and wrote lyrics and vocal melodies to them. Many months later, once they had a batch of ten songs, they decided to turn it into a band. They poached Pavan from GayC/DC (which by that point was starting to build a name on the SoCal club circuit) and the search for a drummer began. Meanwhile, Freeman had also been playing bass in several other projects, one of them being Boynanarama, an all-gay tribute to Bananarama. There he met Berklee alum, Carlo Ribaux, who has toured the world playing drums behind Gingger Shankar, Heffron Drive, Victory Kid and Coucheron, to name a few. Being a quick learner and having total command of his drums, Ribaux seemed a natural fit and was asked to try out. They knew instantly once they all played together that this was MARY. The new four-piece spent months woodshedding their songs, incorporating some of Glen’s song demos into the mix, and refining it all for a live presentation while developing a distinctive look. Their first show was at the iconic Eagle LA where many gay punk and metal bands got their start. They filled the club with friends and peers who they knew would be critical and honest, and the response was overwhelmingly positive. The combination of McKnight’s powerful guitar riffs and hooks, Freeman’s lyrics and snarling delivery, Pavan’s feisty stagecraft and overpowering bass, Ribaux’s cute smile and snappy drum prowess had won them over. The band is working on new material, building up a sizeable repertoire, and plans to record later this year and into 2019. They are also refining their live show and will be blowing your mind sometime in the near future.